The purpose of the street light is to provide illumination to the environment. LED street lights also provide the same or higher lighting levels with lower energy consumption. In addition to that LEDs have a long service life according to other lighting technologies. So, how is LED street light designed? Creating LED street lights may seem like a simple mounting job. However, it is a challenging process involving complex engineering accounts. When we introduced the LED lighting technology, many companies operating in different sectors which do not have engineering infrastructure have entered the field of LED lighting because of the rapid increase in market share in this area and high-profit rate. Companies producing barbecue started to produce LED lighting. However, most of these companies made only assembly. These products, which are lack of engineering, failed before the warranty period expired. Consumers wanted to apply to the company for warranty, but companies were not available. The number of companies has risen rapidly, and at the same rate, it has been wiped out of the market. These manufacturers who aim to achieve high profits in a short period of time and do not care about product quality have shaken trust in LED technology. They also damaged other manufacturers on the market. Not only street lights, but all LED lighting fixtures can be used without problems for decades when they are designed correctly. A LED street lighting fixture contains; LEDs, the printed circuit board (PCB) which these LEDs are installed, the secondary optical thermal conductor such as lens and reflector, LED driver and housing. The LED selection is the first stage of the lighting armature design. When selecting LEDs, the LED datasheet and test reports should be examined in detail. Because LED Selection will determine how to design the rest of the system. The led selection will not only end by determining the package, brand, and model of the LED. The same model can contain LEDs in different colors and in different luminance. To do this, Color bin and flux bin selection must be made via datasheet. The LEDs should be placed on the print circuit board (PCB) with the appropriate number and proper connection structure. This unit called the LED module. After the LED module design, the LED driver must be selected to feed this module in the appropriate driving current. If the limit values are passed over the LEDs, this will cause them to fail in a short period of time. The optical material on the LED package is called primary optical. This optics allows the LED to emit light at a certain angle. 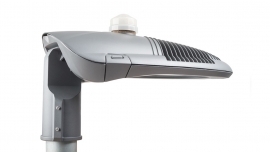 LED streetlights require secondary optical solutions because of their use. 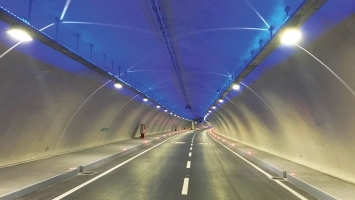 High-efficiency lenses are used in street lighting, providing asymmetric light distribution. Light transmittance should be considered as an important element for lens selection. Low light transmittance lenses cause light loss. Reduces system efficiency. Heat is the most important factor for LED lighting that affecting product life. Therefore, the heat generated on the LEDs should be removed with the help of the cooler housing. The heat released on the LEDs is transferred to the aluminum printed circuit board via the thermal pad on the lower surface of the LED. The heat from the aluminum printed circuit board must be transmitted to the cooler body so that it can be ejected. The print circuit is mounted by screwing on the inner surface of the body. However, screwing is not sufficient for heat conduction. The gaps remain between the card and the body, even if it is not visible. These gaps must be filled with thermal conductive material. The thermally conductive paste is applied to the inner surface of the body, then, if the card is inserted and screwed, a perfect assembly is accomplished. Armature body is made of aluminum material because of high thermal conductivity. The structure and size of the cooler body are determined, depending on the values such as led selection, led driving current, safe operating temperature. Since led street luminaires are intended to operate under outdoor conditions, the electronic components in the body structure must be water, dust and moisture-resistant. Therefore, it must have a minimum IP65, preferably IP66 or IP67 protection class.